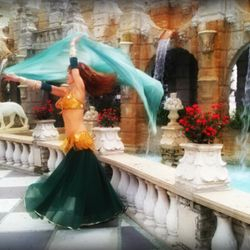 Kimara is a professional Tampa Bay bellydance artist, fire performer, and instructor/ choreographer. 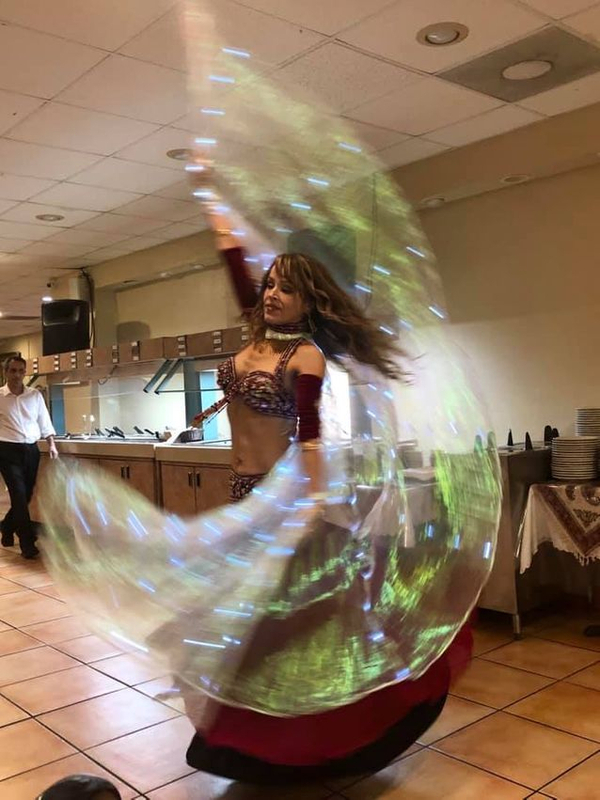 An entertainer at heart with a passion for dance, she offers fun, artful, family-friendly entertainment while maintaining professionalism and preserving the mystique and beauty of MidEast Dance. Shows are always upbeat, artistic, and classy, with a touch of humor. 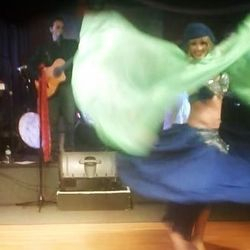 She has steadily performed since 2004 at parties, restaurants, corporate events, and weddings and also performs regularly with world-fusion pop band, Gypsy Star. 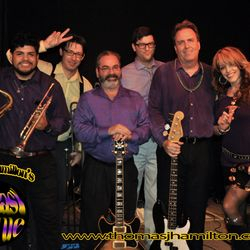 Kimara also sings and performs with local hot New Orleans-themed band, TBone's Big Easy Revue. For booking info kindly use the contact form or email kimaradance@yahoo.com and your query will be answered as soon as possible. Performance with Kafkasso 2015 St Pete FL. 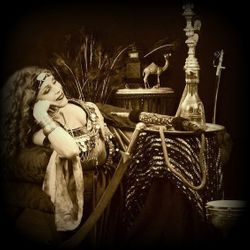 Kimara typically performs what is known as 'Fusion Bellydance' or 'American Cabaret Bellydance'. 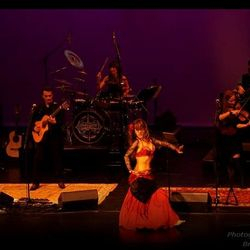 These are versatile mixes of Turkish, Arabic, Indian, Spanish, and American Tribal styles, combining modern and classical bellydance, folkloric, and gypsy, infused with classical movements/ stylizations from various cultures along with pop-lock and serpentine movements. Shows will always include zills (finger cymbals) but implements can also include Fire dance, Veil dance, Raks al Sayf (Sword dancing), Egyptian Saidi-Raks al Assaya (folkloric cane dance) Turkish Rom (Gypsy Dance). Shows, stylization, and music can be tailored to suit the audience and venue. To see some of her skills and artistry in action, see the videos section. 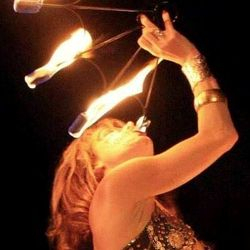 For more details of how Kimara can make your party unforgettable see the show info page or if you'd like to read what some past clients have said, check out the feedback and reviews page. Having a unique, cultural-themed event? Hire a unique, dynamic band! 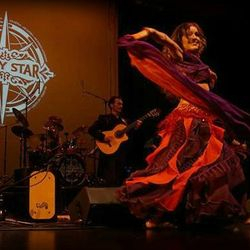 Gypsy Star is a group of talented bay area musicians who weave Mediterranean, Celtic and pop into a textured tapestry of world-fusion original music. See their website. 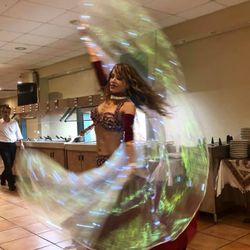 Having a bellydancer at your event? Consider also adding a talented henna artist to add even more spice! 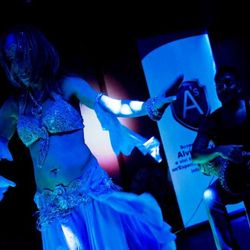 Want to know where to go to enjoy regular ongoing bellydance showcases featuring an array of Bay Area talent of all different styles and fusions? Whether you just have a taste to get out and see some artful live entertainment or interested in classes and meeting some of the pros, instructors, and students on the scene, we have quite a nice Bellydance Community happening around here! 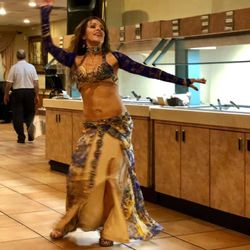 There are also plenty of restaurants which feature bellydance shows. Hi Kimara, just wanted to say thank you so much for you amazing performance at our wedding. My guests loved you and your talent! Kimara thank you so much for your performance and the energy you brought into the party! We truly appreciate it and everyone enjoyed it a lot! Kimara, we can't thank you enough. We had such a great time last night. You were absolutely wonderful. You were in the spot light. You lured the crowd into participation and having a great time. All day long I have gotten emails and calls about you. Thank you, thank you. Regards, Jean"
"Hello Kimara. Thank you so much for making my 30th Birthday Party a very special one. You were more than what I expected. Your dance style and the way you interacted with the guests it was awesome. Everyone asked me where did I find you and that they will like your contact information. My husband and I have a big family and many friends and for some reason we always have parties....which I think is awesome, so I look forward to work with you again so you can make our event an unforgetable one."